My memoir, Angels in the OR: What Dying Taught Me About Healing, Survival, and Transformation, can be ordered as a paperback, e-book, or Audible. It is a #1 new release in several categories. I would love your support. My aim is to help make near-death experiences more mainstream and to bring more healing to this world. 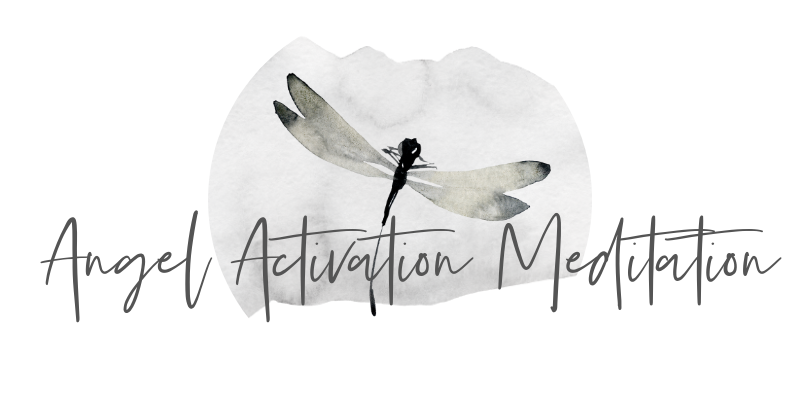 Angel Meditations: My near-death experience put me on contact with angels, and I continue to call on them in meditation and in my life. Here is a short meditation with unknown angels. You might use the angels to help you with healing or manifestation. I got the term “unknown angels” from Anthony William’s book Medical Medium. The term rang true for me as there have been moments when I have seen so many angels all around us, waiting to help. As time goes on, I will add more guided meditations to this playlist. I hope you enjoy the meditations. May you be very blessed as you walk your journey through this life. Message from God: I received a healing message from God which I wrote out in a blog piece and used in a video if you prefer that format. My hope is that it might help anyone who is hurting, especially from the actions of others. One of my missions is to help others release pain and trauma from the cells of their bodies. Here is a meditation I made to help facilitate greater healing. Interesting that I come across this now. Guides are something I have just now in my life started to take seriously. I am looking forward to using the prayers while trying to contact my own guides! Hi Ashley…Since I saw my angels during my NDE, I thought it was past time that I call on them for guidance. I believe everyone has angels and guides around them. I wrote down my prayers mainly in the hope that others might be inspired to find their own messages to make their lives brighter and more beautiful. Thanks for your note! Your story is so interesting to me. I too, have angels and they look more like beings of light but with form as you have described. They have also performed healing on my body and I saw them doing it! To be honest I was freaking out. But I am coming to terms with the other reality that lies in our midst and trying to trust. I give thanks to YHWH for His creation and for His helpers. They do marvelous things for us. Thank you for sharing your experience. That’s so cool that you’ve experienced healing in that way. Lately, I’ve been asking for one message or one moment of healing to come in at a time as it can be overwhelming. I find it so beautiful that we are a community of people living now who knows that it is more than possible, more than probable…these experiences are spiritual realities:-) Loved your share! These prayers are beautiful, Tricia – thank you! I’m going to bookmark your blog and return here for meditation, particularly when things in life feel overwhelmingly difficult. I confess I find it frustrating that we are surrounded by these beings and all this goodness but often can’t sense any of it. Truly, it’s a matter of faith to accept their existence, and it’s people like you who have had these transcendent experiences who can help others maintain that faith. I followed the link to this site from nderf.com and was really touched by what you shared. Some people go to holy books or churches for spiritual guidance – I go to NDEs, LOL. Best wishes. This is Han, I met you at insight meditation app, I’m surprised you and both my teachers had samiliar experiences. They all met sprits (angels, they call them spirit) through deep mediation. I use didnt believe these kind thing until one of my teacher opened my crown, and universal energy started flow into me. I’m surprised I can find people like you, I’m really looking forward to meet you maybe sometimes in the future. Hi Han….Thanks for reading my blog. I opened to this experience during my NDE, but I know meditation certainly deepens these experiences. I hope to talk more with you. Both of my teachers told me Angel (sprits) choose them during meditation, and they did not find sprits, Their experiences are very similar to what you shared on the youtube. They all have their own way to healing people. One of them could bring healing energy from heaven, the other open up special ability to heal people such as universal writing, universal drawing for normal people (I can show some of them to you would like to take look, they look amazing, but most importantly they are not brain work). I’ve been studying meditation for years, never seriously stepped into spiritual realm, until I felt the energy from the sky and so much information flew into my brain recently (I can see them clearly, but I can’t understand and remember them, they just came in so quickly). Han…do you have a website of these drawings? Sorry for such long time reply, unfortunately we don’t have website for the drawing yet, if you are interested I can send them to you through email. Here is my email address. Btw, I’ll be in Dallas this month from Feb 21st-Feb 28th, if you have time, I wonder if we get together having lunch/dinner to share spiritual practices, also I’m very interested with Angel meditation, I would love to experience it, if you don’t mind. Thank you for the guided meditations. So wonderful and helpful! What advice would you give for someone desperately needing healing from an illness that doctors can’t help, in fact one that they don’t even really believe exists? I really would like to know how to contact these angels for help. I’ve prayed innumerable times to anything that might hear me for some kind of help or even some kind of communication to explain why on earth I’m suffering with these ridiculous symptoms, but received absolutely nothing back, to the point that it’s really hard not to believe that for whatever reason the divine just doesn’t give a damn about me or my situation. I’d really appreciate your advice. I just interviewed Carolyn Clapper who is a medical intuitive. She even works with doctors in the cases of mystery illnesses. Don’t give up hope and keep searching for your answer.